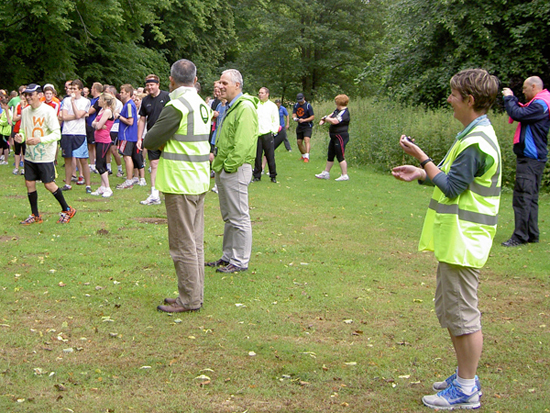 Finding out about Bury St Edmunds parkrun volunteering opportunities couldn't be easier. Simply open a recent parkrun newsletter, results email or volunteer email, click on 'manage my profile', then 'email options', then select the events you'd like to hear from and click 'save opt-in events list'. You will then receive regular emails from those events letting you know all about their volunteering opportunities. You can see an event's future volunteer roster via their specific future roster page. To get in touch with the event directly, just send an email to burystedmundshelpers@parkrun.com. Bury St Edmunds parkrun happens largely because of our fantastic volunteers, who are almost all regular runners like you. The weekly team of volunteers are led by a small group of parkrun enthusiasts who form what we call the 'core team': They make sure the event is setup and packed away each week, the results published, the tokens resorted, event reports written and so much more. We're very grateful to the help provided by everybody, both now and in the past, who've helped make Bury St Edmunds parkrun happen.